In all seriousness, however, I reviewed Scion of the Fox last year and absolutley loved it. 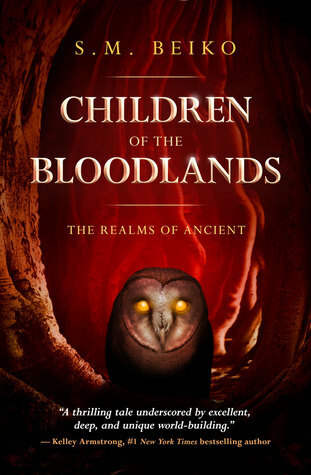 Children of the Bloodlands took the foundations of lore and mythology laid in the first book and grew it to a whole new level. 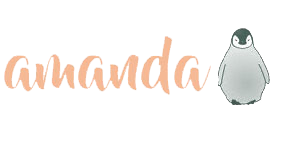 The powers and structure of the Families were expanded upon and fully fleshed out and we were given even more of the ancient stories and beliefs that shape how they move in the world of Mundanes. I love how the twists and turns were woven into the story as well. Although I saw some of them coming, it wasn’t a dissapointing “oh that was predictable” type of feeling; instead it was the immense pride of “heck YEAH I figured that one out”. There is always so much going on, even subtly, that you don’t ever get bored even though it’s not a small book (my eGalley showed 495 pages and the official hardcover count on Goodreads is 440) which is a huge plus. The story in Children of the Bloodlands managed to feel even darker and more sinster than the goings on in Scion of the Fox. There were definitely moments where I felt extremely on edge and mildly (okay…VERY) creeped out. While not directly a Halloween story I definitely feel like this one would be an excellent choice to pick up in the month of all things spooky. As expected, I loved this second instalment of The Realms of Ancient just as much as book one. I really can’t wait to see how the final pieces wraps up the trilogy! What woke Eli was not the gentle hand of a well-meaning aide this time, but the tensing of his whole body, pre-retch. He rolled over painfully, sputtering, pulling air back into his lungs as if he’d been drowning. But his fingers dug deep into soil and sand. Earth. They’d made it. A burst of flame exploded nearby, and he covered his head, cinders and bark and tree branches showering down. He staggered to his feet, which were partway human again, but long razor claws dug into the ground when he stumbled. His clothes were torn, one arm still half-feathered, and when he tripped, pain stabbed through his scapula. He was still partially the owl Therion, one wing broken and hanging behind him. The stone seemed silent, and for a moment Eli was both excited and afraid that it might be silent forever, but it hummed at the edges. With a small jolt, Eli was able to grunt his way back to human form, shedding the wings and feathers and righting himself as best he could. Eli turned. Not more than two feet away from him was a child. Her clothes were covered in ash, her skin mottled with black and almost cracked, like brimstone, red shimmering below the surface. “Will you meet my family?” she asked, pointing to the trees. Eli stepped back. The air was sick with the reek of sulphur. From the woods emerged more children, faces blank, eyes glowing. Their skin and faces ash-smeared wrecks. Eli. He jerked. The voice was inside his mind. He’d left it open and did not dare shut it now, because it was Solomon. He couldn’t see him, couldn’t find him. There were only the trees, branches stretching to the sky, like arms . . .
Eli, the urgent voice said, and he knew it was coming from the trees. Run. Behind the children coalesced the dark column that had ripped them out of the air. It was a solid murk, each tendril it sent ahead a leg to pull itself up, crab-like. And it did — into a body, with features that hardened the longer Eli stared. It was seven feet tall, eyes obscured by an inverted triangle of shining black bone. The smile beneath was unforgivable. And sure enough, embedded in its shoulder was the gleaming, corrupted green of the Rabbits’ Calamity Stone — the Serenity Emerald. Then the Moonstone screamed, and Eli knew he should have listened to it when he’d had the chance.